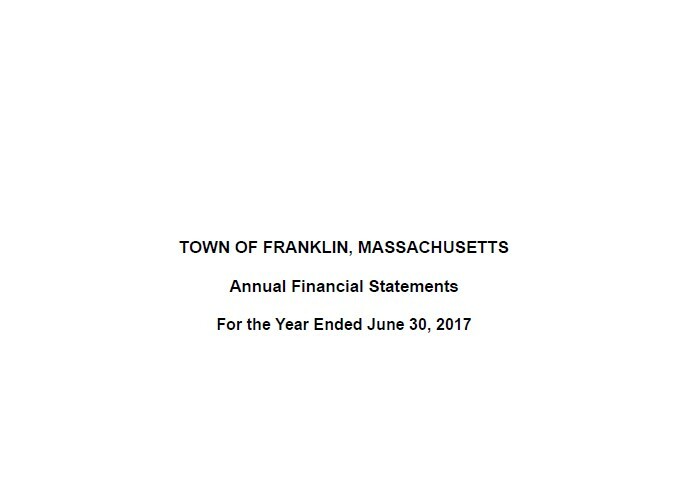 The Audit Report for Fiscal Year 2017 does not have a "Management Letter" this time around. Hence, one can easily say the Town is in the best financial position from a control perspective than ever before. The Audit Report is a good source of information, not just data. How much stabilization money do we have? At the end of 2017, the total was $6.7M a decrease of $1.3M primarily due to the use the purchase of the fire truck and the resurfacing of the turf fields. Both have stabilization accounts where we were saving for this expected purchase. (See the table at the top of page 10 of the printed doc, page 13 of the PDF for details). How much did the FY 2017 budget change during the year? You might be surprised to find that we added $3.9M to the budget but that was primarily due to the use of the "free cash" from the prior year. The expenditures for the fire truck and turf fields helped to contribute to this as money from "free cash" was added to what was saved in their respective stabilization accounts to provide the total for each purchase. (See General Fund Budgetary Highlights on page 10 of the printed doc, page 13 of the PDF for details). How many stabilization funds do we have and what amount is in each? Other than the agenda doc for each Finance Committee meeting which shows the current total during the fiscal year, this is one place to see that answer. The table also shows the change in funds along with the change in amounts over the years from 2008 to 2017. (See section G. Stabilization Funds on pages 11-12 of the printed doc, page 14-15 of the PDF for details). How do we get "free cash"? "Free cash" is neither free nor cash. It comes from two sources. (1) You receive more revenue than you budgeted for (2) you spend less than you budgeted for. You can see this effect in the table on See General Fund Statement of Revenues and Other Sources, Expenditures and Other Uses - Budget and Actual, for the year ended June 30, 2017. According to this, we should have $2.9M 'free cash' to use for FY 2018 which is less than we had available in FY 2017 (recall the $3.9M). (See page 19 of the printed doc, page 22 of the PDF for details). 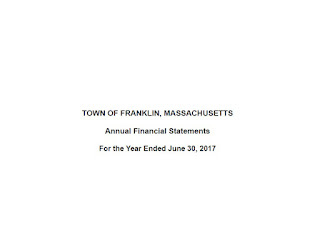 You can find the audit report on the Town of Franklin webpage as part of the Town Council agenda for the January 24 meeting.